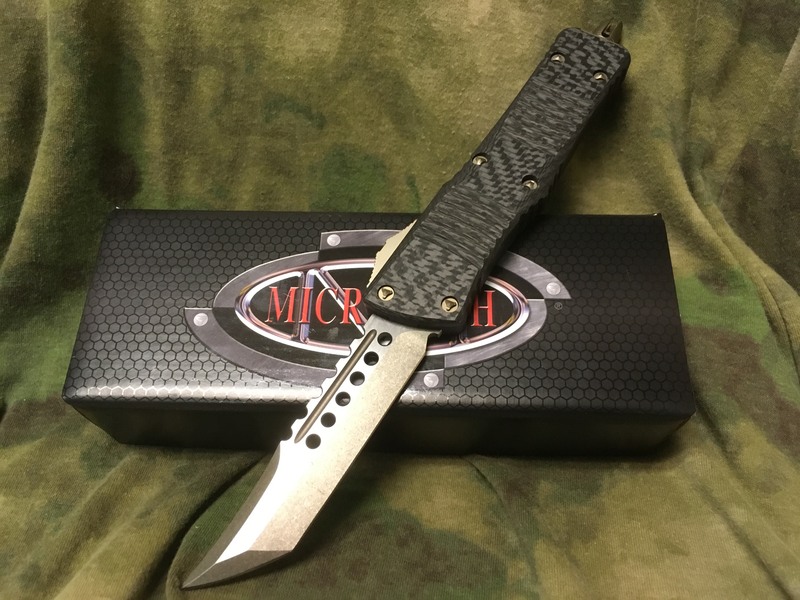 This Combat Troodon automatic knife features a bronzed Hellhound Tanto blade and a black anodized 6061-T6 aluminum handle with a carbon fiber scale and bronzed hardware. 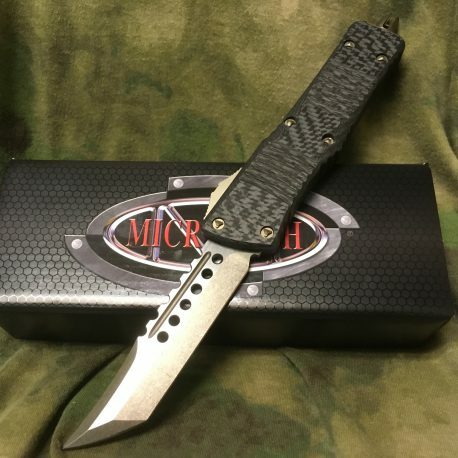 Microtech’s largest OTF production knife is named after the Troodon dinosaur. The Combat Troodon is the really large version of the popular Troodon. Despite the size, the handle feels slim and comfortable.